100% Pure Creatine Monohydrate! Muscle size. 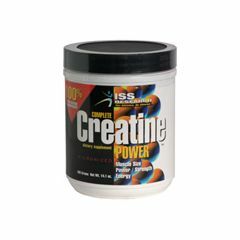 Ingredients: 100% Pure Micronized Creatine Monohydrate. Dosage: As a dietary supplement, take 1 scoop (5 grams) mixed into 8 ounces of water, or favorite juice beverage. Loading: Day 1-Day 5 - Take 1 rounded scoops (5 grams) 4-5 times daily. Maintenance: Day 6 and Beyond - Take 1 rounded scoops (5 grams) 1-2 times daily. For best results, be sure to take 1 rounded scoops (5 grams) 30 minutes prior to training session, and 1 rounded scoop (5 grams) after training session.